The dictionary definition of an heirloom is a valuable object that has belonged to a family for several generations. For most this will mean a piece of jewellery or something else with considerable monetary value. However, to many family historians, other items which may have less monetary worth may be considered to be more valuable. 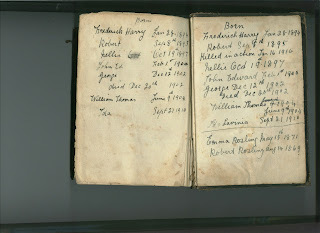 Items such as a family bible containing information and clues as to who their ancestors were are prized possessions. That is not to say that other items of monetary worth are not valuable or prized. If like our family, you came from a background of agricultural labourers or other labouring class, nothing of great value was owned or survived. I would like to discuss a couple of items in this post which have a value to my husband's family and I have in my possession. These have come to me from different people and this has a bearing on their provenance. Hopefully, this comparison will highlight the importance of documenting provenance for both accuracy and thoroughness. The first item was given to me by my father in law but had been originally created by his father in law. This will be unlikely to ever have any real monetary worth but it is still going to have value for the family. The person who created this was Harold Ward who was the owner of the suitcase in this earlier post. 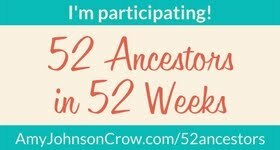 In fact he already has 2 gt gt grandchildren who might be fascinated to see what he made. The second item is a bible which contains within it details of my father in law's maternal grandparents and their children. 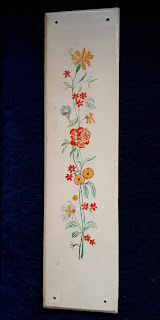 This item was sent to me, by a person, with no connection to the family, who had rescued it years earlier in Stratford Upon Avon. 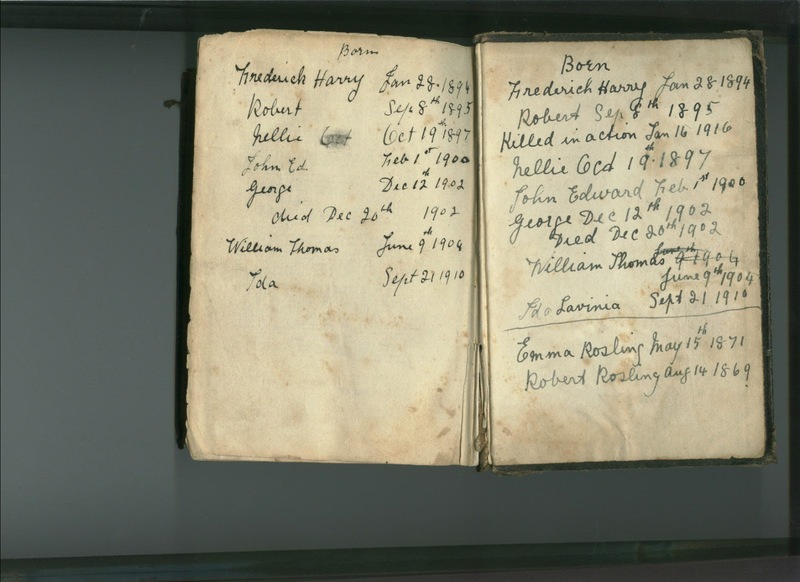 My father in law has a brother who lives in this town, but he had no knowledge of this bible, and the family had lived in Rutland, a neighbouring county, miles away. Useful information is contained in these pages but it is not entirely correct and I have no idea who wrote this or when it was written. If you have inherited items of interest from older family members make sure you find out more about who, what, when, where and why. Include what you know alongside the item or somewhere other will know what you are refering to such as a blog like this with images. Many of the items in the suitcase I wrote about, were kept for a reason, but as the generations go by the reasons for keeping them get forgotten. Items become just some tat and get thrown away along with the memories. There are a stocking, ration book and other wartime memorabilia, day to day items that have been kept because they meant something, items that came back from overseas with the soldiers. I think I need to find out more whilst I can still speak to his son . I find the small items left to us that trigger memories are so precious. Some very good tips on provenance, and I agree, it is often the small items of no monetary value that mean the most to us. I can't tell for sure what the first item is but I think it's a wood panel with painting on it. I think the painting is beautiful. It has so much detail. Receiving the Bible must have been a surprise, especially when someone who was not part of the family sent it to you.